This great home is on the very edge of town, so you get away from the hustle and bustle but have quick access to Johnson County, KC or all the shopping, food and services that Belton and Raymore have to offer. This home has been well taken care of with newer HVAC, newer roof and more. It also has brand new carpet on the main level and new paint in the living room and hallway. The over sized backyard has a wonderful fire pit and pergola that are a wonderful place to relax. Belton is located in Missouri. Belton, Missouri 64012 has a population of 23,168. The median household income in Belton, Missouri 64012 is $53,316. The median household income for the surrounding county is $61,046 compared to the national median of $53,482. The median age of people living in Belton 64012 is 33.8 years. 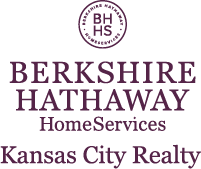 I am interested in 17206 Montgall Drive, Belton, MO 64012.